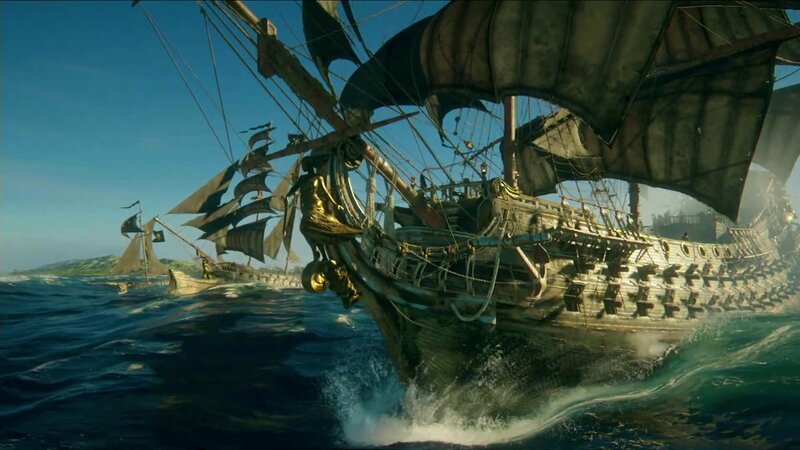 When Ubisoft showcased its new IP Skull and Bones, which many looked at as Assassin’s Creed IV: Black Flag but with just the ship battles, it did so with some PvP competitive mode. However, as it turns out, the game will have a single-player campaign on top of this. PC Gamer spoke to a Ubisoft rep who noted that Skull and Bones “will offer a narrative campaign which will be integrated into the game and will not be something aside of the multiplayer experience. “In this campaign, players will encounter iconic characters and memorable rival pirates.” Thus far, we’ve only seen the “tip of the iceberg” in terms of the overall experience. This is good news for those not particularly interested in PvP. However, considering that For Honor, another PvP-focused Ubisoft title, was also touted as having a meaty story, we’re going to wait and see how extensive Skull and Bones’ campaign really is. Skull and Bones is currently slated to release in Fall 2018 for Xbox One, PS4 and PC.